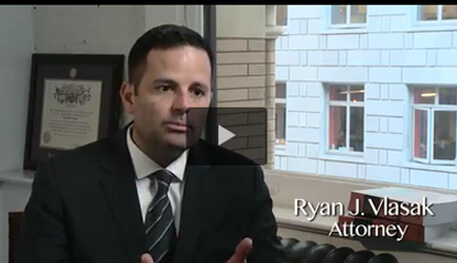 Traumatic Brain Injury Attorney San Francisco, CA | Bracamontes & Vlasak, P.C. Your brain weighs about 1.2 kg (2.64 pounds), only about 2 percent of the normal body weight, yet it consumes about 20 percent of your body’s total energy. Your brain consists of one hundred billion interconnected nerve cells. That means that there are substantially more nerve cells in one brain than there are single dollars in the world’s richest person’s “bank account” (which in 2013 was 73 billion). To complicate matters further, brain neurons, unlike other cells in the body, are greatly diverse in form and function. Contact Bracamontes & Vlasak, P.C., at 415.835.6777 to discuss your traumatic brain injury with an experienced personal injury lawyer today. Although it now seems commonplace, it was not until the 20 th century that modern neuroscience was born with the discovery by the Spanish neuroanatomist, Santiago Ramon y Cajal (1852-1934), that the brain is in fact composed of aggregate interconnected cells, and is not just one basic structure or part. Aside from the mind-body problem that philosophers and neuroscientists perennially struggle with, one thing we now know is that the brain is the seat of our perceptions, feelings, thoughts, language, memories, and abilities. It is not surprising, then, that even seemingly slight injury to the brain can have devastating effects on one’s life and personality. Given the immense complexity of the brain and the relative adolescent stage of brain science, it is also not surprising that many brain injuries and disorders unfortunately go undiagnosed and untreated. A diffuse axonal injury (DAI) is a type of brain injury that occurs over a widespread area of the brain due to traumatic shearing forces applied when the head is rapidly accelerated or decelerated. These injuries are usually caused by auto accidents, assaults, falls, and sometimes child abuse, for example, shaken baby syndrome. DAI injuries typically result in lesions in the brain and axonal stretching, tearing, and separating. Axonal brain injuries do not always show up on MRIs, can be difficult to treat, and may result in loss of consciousness and comas. Traumatic brain injuries and mild traumatic brain injuries are general categories of brain injuries caused by bumps, blows, jolts, or any blunt trauma to the head, of varying severity. TBI and MTBI injuries can overlap with diffuse axonal injuries but are often more localized, focused injuries based on the specific mechanism of trauma. TBI can cause epilepsy and increase the risk for Alzheimer’s or Parkinson’s disease as the brain ages. Anoxic brain injury occurs when the brain in starved of oxygen. Brain cells begin to die when oxygen levels are low for approximately four minutes or longer. Anoxic brain injury is also called cerebral hypoxia or hypoxic-anoxic injury (HAI). The death of brain cells interferes with the brain’s electromagnetic impulses and performance of neurotransmitters (communicators in the brain). 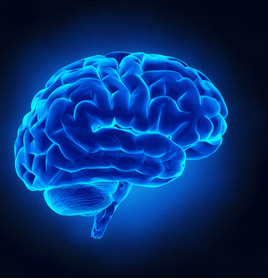 Causes of anoxic brain injuries can be anemic or stagnant anoxia (insufficient oxygen-rich blood reaching the brain), anoxic anoxia (not enough oxygen, such as from choking, drowning or high altitude sickness), or toxic anoxia (such as from carbon monoxide, which depletes oxygen from the body and brain). Neurotoxic brain injuries occur when toxins such as heavy metals, pesticides, or solvents alter the normal activity of the nervous system and/or kill neurons in the brain. Neurotoxins can cause cognitive impairment, developmental delay, loss of motor control, and nervous system dysfunction. Neurotoxicity has been found to be a major cause of neurodegenerative diseases, such as Alzheimer’s disease. Lead is one highly toxic heavy metal that causes neurotoxic brain injuries. For more information about BV Law’s lead litigation practice, click here. Pediatric brain injury can occur in any way described above, or in the process of birth and delivery, and hence related to potential medical malpractice. Children are especially susceptible to lead poisoning. Pediatric brain injury cases are further complicated by the fact that the child’s brain is still developing, and it can often be very difficult to determine if the brain is injured or not fully developed yet. General development of the physical brain is not completed until 10-12 years. Your child must be evaluated by the right team of experts using all available technologies and methods to diagnose or rule out a brain injury. The defense in pediatric brain injury cases will usually try to argue that there is no injury, or that any injury was pre-existing and/ or caused by genetic or other environmental/causative factors. It is thus all the more important to have the right lawyer and experts for these cases. Often brain injury cases do not involve a single trauma resulting, for example, in a fractured skull or brain surgery. Brain injury cases thus often require multiple levels of proof and a confluence of data to establish causation. There are four main approaches: neuroanatomy, neurophysiology, neuropsychology, and collateral evidence (from everyday life). Whether or not neuroimaging will document a brain injury depend on the specific type of neuroimaging and the specific injury. Different methods work better for different kinds of brain injuries, and your attorneys and experts should have the resources to explore all potentially viable means to prove your case. Neurophysiological tests measure the functions of the nervous system, including the brain, spinal cord, and peripheral nerves. EEGs (electroencephalograms) pick up electrical impulses sent out by your brain, which control actions like speech and muscle coordination. An irregular EEG can help locate an injury to a more specific region and thus better document the injury and help establish causation. Evoked Potential (EP) testing measures the electrical activity in specific regions on the brain in response to stimulation of specific nerve groups and can help diagnose and document visual, auditory and or somatosensory delay caused by a brain injury and/or spinal cord damage. Neurophysiological testing can be used in connection with other methods to strengthen causation. Neuropsychology is a relatively new field, but one that is used often in brain injury cases. Typically both sides in a brain injury lawsuit will have their own expert neuropsychologists. Neuropsychology aims to understand how the structure and function of the brain (including the injured brain) directly relate to and influence psychological processes and behavior. Neuropsychologists use standardized tests, such as the Wechsler Adult Intelligence Scale (WAIS), Wechsler Memory Scale (WMS), Test of Memory Malingering (TOMM) and others, in order to attempt to determine what psychological and cognitive impact an alleged injury has had on an individual. Your attorneys and experts should understand how these tests can be used to bolster your case and how they can be misused by the defense to attempt to discredit the plaintiff or downplay the alleged injury sustained. Whether or not the brain injury is tangible with neuroimaging evidence from everyday life is important to document how severe and debilitating the injury really is on a day to day level. Witnesses from the plaintiff’s workplace, friends, family, and so on, should be interviewed and relied upon to paint a picture of the plaintiff’s life before and after the brain injury. Nothing speaks louder than concrete examples from credible witnesses of how the plaintiff just isn’t the same person anymore after the brain injury, and just can’t get along in life and interact with others in the same way as before. Brain injuries cause people unhappiness and decrease quality of life. It is important for the jury to realize that, aside and apart from the neuroradiological, neurophysiological and neuropsychological evidence. At BV Law we have had a proven track record of success in aggressively litigating pediatric brain injury, anoxic brain injury, and neurotoxic brain injury cases. See our Firm News page for relevant results. Schedule a free consultation by email or call us at 415.835.6777.